It's finally sunny and warm outside! What a beautiful Spring day. When the weather is nice, I crave healthier foods for snacks. Is that something you feel too? Here's a quick and easy and beautiful and satisfying idea that doesn't even require a recipe...it's a snack after all: Dressed Up Hummus! 1, Spoon whichever plain hummus you like (or make your own) into a shallow bowl (I used the one I made in my pottery class). 2. 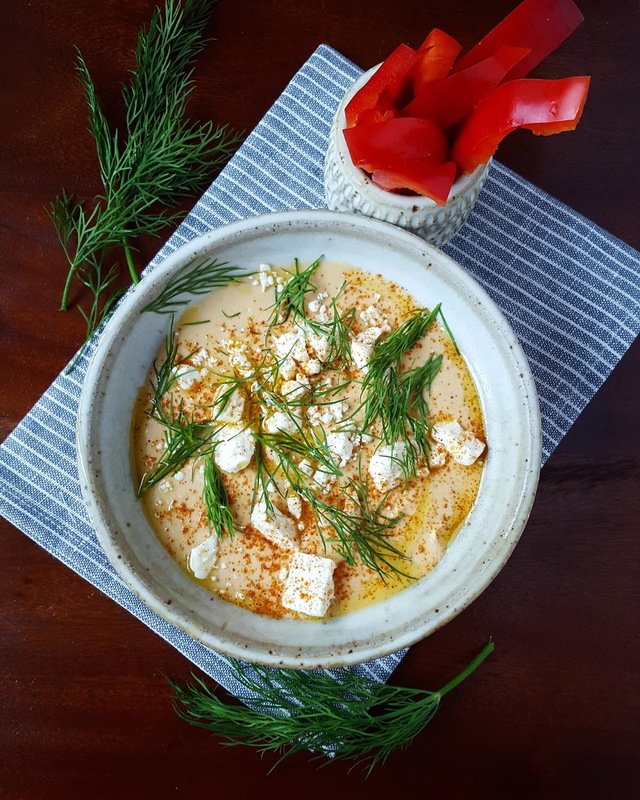 Top hummus with crumbled feta, cayenne and fresh dill. 4. Serve with red pepper strips. Tell me your favorite snack!